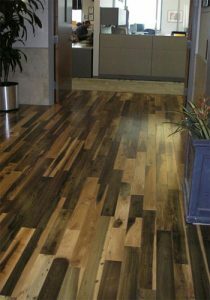 Made from natural wood, Nydree products are completely impregnated with acrylic resin for a stronger, tougher floor. Color is not applied just to the surface of the wear layer, but throughout the veneer. The result is a floor so durable it is backed by a lifetime warranty.